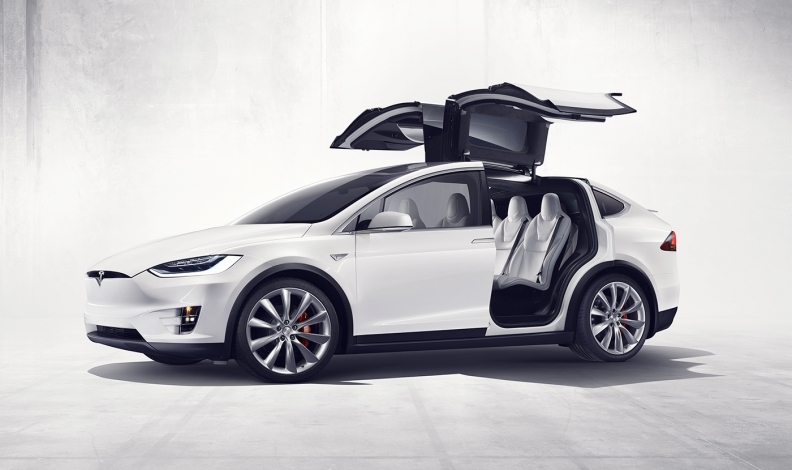 A Tesla Model X could cost $8,850 more in Norway under if tax breaks are reduced. OSLO -- Norway plans to trim lavish tax breaks for Tesla and other electric cars that have given it the world's highest rate of battery-vehicle ownership. The draft 2018 budget would mainly affect large cars weighing more than two tonnes, Norway's right-wing government said on Thursday. Norwegian media dubbed the changes a "Tesla tax" because they are intended to cut down on sales of luxury electric models such as Tesla's Model X SUV. The proposal would change an exemption from motor vehicle registration tax and discounts in taxation of company cars. Norwegian media estimated it could push up the price of a Tesla Model X by 70,000 Norwegian crowns ($8,850). "Electric cars will still be accorded significant advantages in comparison with cars running on fossil fuels," the proposal said. It keeps in place breaks from value-added tax and benefits for zero carbon pollution. Some 29 percent of all new-car registrations in Norway were fully electric or plug-in hybrids last year, according to the International Energy Agency, far ahead of the second-place Netherlands, with 6.4 percent, and Sweden in third, on 3.4 percent. "Norway is gambling with the electric car market," Petter Haugneland of the Norwegian Electric Vehicle Association told Reuters. Sales of Teslas rose almost 90 percent to 4,717 cars in the first nine months from 2,500 in the same period of 2016, according to official sales statistics. Other carmakers, from Nissan to Volkswagen, have also had rising sales. Environment Minister Vidar Helgesen has said that large electric cars wear out the roads just as much as normal cars. And electric car subsidies in Norway were originally introduced to encourage small, domestically produced electric cars, rather than luxury imports for the rich. The minority government will need backing from other parties for its proposal.